Sun City Ford has the sales professionals you need to help you get the right vehicle with the right financing package. Whether you need car financing or car leasing, our full service finance department deals with several financial institutions to help you get the best credit package that meets your needs. Apply for credit through our online credit application to get pre-approved. You can also call us at 1-866-223-5723 or come visit us at Sun City Ford. Do you want to get a fast, easy credit decision? Whether you choose to lease or purchase a vehicle, with our Pre-Approval Credit Centre your credit application is short and simple. With expensive computer components and more and more expensive parts and labour costs, an extended warranty is the single best way to protect your self against unexpected expenses. This provides added security for you and your family. The program gives you a convenient way to guard against unforeseen events that may impact your ability to meet your payment obligation. * This is only a brief summary of the protection programs. For specific details on coverage terms, conditions and exclusions, refer to the appropriate agreements. Purchase of these programs is optional. Subject to OAC.  Are $99/month Payments for Real? You bet - but you won't find them here at Sun City Ford. It's not that we can't arrange them - it's just we don't think they are very practical and likely not in your best interest. While you will see low payments like $99/month advertised by our competitors, we feel it is better to be upfront and honest with you. We don't know many people that want payment extending beyond five or six years when financing a vehicle or five years when leasing. If you are only paying $99/month for a new vehicle then likely you will be paying for that vehicle for a very long time (like 12 to 14 years!). We can't think of a customer of Sun City Ford that likes to be "tricked" when buying a vehicle. That's why you won't find $99/month payments here. Vehicle loans are a part of the equation in the vast majority of new and late model used vehicle purchases. Interestingly, consumers will spend days shopping vehicle prices, yet many do not shop auto loans. Comparison shopping and pre-qualifying for an auto loan should be the first step you take when buying a car, not the last. Failure to do so can be costly, as financing is one of the most frequently missed car buying opportunities. An auto loan is a unique part of the buying equation and it requires that you focus on it as a separate issue. Reduce your monthly payment by just $16.70 and you will save $1,000 (on a 60 month auto loan). There is no great mystery to auto loans, if you purchase new or late model used vehicles, you are quite familiar with them. Nonetheless, it is important to understand the main components of an auto loan. The five elements covered in this sub topic are the basic parts of an auto loan. Understanding them and how they relate to each other will help you to effectively shop for an auto loan. The down payment is the total amount of money that the borrower puts down towards the purchase of a vehicle at the time of purchase and origination of the loan. This does NOT include any credits for trade equity or rebates and incentives. NOTE: The down payment is credited to reduce the final sales price of the vehicle AFTER it has been adjusted to reflect taxes, trade inequity or any other expenses. Many people forget to factor this in when developing a budget and other additions are made to it -- the principal, NOT to the final sales price. The Annual Percentage Rate (APR) is a yearly rate of interest that includes all of the fees and expenses paid to acquire the loan. Federal law requires lenders to disclose the APR. The APR is essentially the ONLY rate you will need to compare one loan (of the same length) with another, because it includes all of the costs associated with acquiring the loan. This makes it very easy for anyone to compare most loans. 1. The amount of money being borrowed: "Principal"
2. The cost of borrowing the money: "Interest"
3. The length of the loan (or lease): "Term"
Virtually every loan (or lease) will have an interest rate. Borrowing money typically costs something. The interest you pay is the cost to you of having someone (e.g. the bank) loan you the money (Principal). Interest rates range from as low as 0.0% to above 15.0%; depending upon whether the vehicle being financed is new or used, if there are factory incentives, what the bank rate is and your credit worthiness. For reference, credit card companies often charge rates between 18% and well over 25% depending upon the card agreement. Most interest rates are charged "per annum" or "per year". Sometimes you will see "APR" which stands for Annual Percentage Rate which means the yearly rate of interest. The cost of borrowing is another way of stating what the cost of the loan is. If you were to borrow $10,000 at 1.0% APR for 1 year, your cost of borrowing would be $100. The same loan now with an APR of 5.0% could cost $500. Payments are made up of the Principal (amount borrowed) and Interest (the cost of borrowing) and paid over a length of time (term). The length of time that you borrow the money is typically referred to as the "Term" of the loan or lease. Terms can be as short as 30 days but in most cases they are measured in months (e.g. 24, 36, 48, 60, 72, 84 or 96 months). Once the term "expires" or comes to an end, your obligations with the lender are generally over. The amount of the loan, without the interest factored in. In other words, the amount you are financing, the amount that you WILL be paying interest on. This is arrived at in the following way. Determine the vehicles final sales price: ADD all relevant fees (taxes, titling obligations, trade inequity, etc.). SUBTRACT amount of down payment (if applicable). SUBTRACT any trade equity (if applicable). SUBTRACT any rebates or incentives (if applicable). The number that you reach after this process will be the Principal. 1. I have great credit and want a loan for a private purchase or to "pay cash" at a dealership. No problem! If you have excellent credit, you likely will qualify for a loan. Just apply now, and if approved, you could be in your new vehicle the same day. 2. I do not have excellent credit...how can Sun City Ford Sales help me? Almost 80% of all adults have at least 1 black mark on their credit report. If you do not qualify for a direct loan, our network of lending institutions can provide you with a loan or a lease on a new or newer vehicle. We are experts in obtaining you the financing you deserve. 3. I need a second vehicle with a low monthly payment. Can I find a late model vehicle that will have a low monthly payment? You bet! We currently have in stock a selection of dependable cars and trucks with finance programs that can keep your monthly payments low! 4. What are the interest rates for my vehicle loan? Your interest rate is influenced by several factors; whether the vehicle you want is new or used, the amount of your down payment, your credit history, and the term of your loan. Fortunately because of our large volume of loans we provide to finance companies, our experts virtually always can find a lender for your needs. Our credit specialist will explain to you the details. Most customers are contacted within 20 - 120 minutes during regular business hours. 6. My credit rating is not great. I have had some problems. Can Sun City Ford Sales help me too? Yes. Our lenders will help you work through your past problems. We are experts at arranging financing for a vehicle that you want and that fits your budget. 7. Are there any fees with Sun City Ford to Check My Credit? There are no fees for this service. We just want to help you find the right vehicle from Sun City!